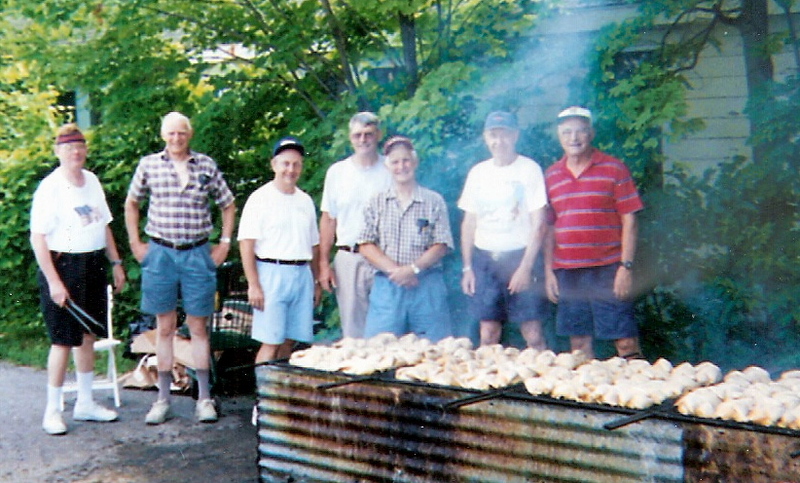 Right about now, the fine volunteer chefs from the Schroon Lake Community Church, (pictured above) have one thing on their mind: chicken – and lots of it. On the eve of the July 4th weekend, the birds are being readied, the barbecues dusted off and the coals purchased before Monday’s 32nd Annual Chicken Barbecue. "The 4th in Schroon just wouldn’t be the same without the smell of barbecue permeating the town’s air at 9:00 am," organizer Jonathan Belrose told us. The coals get fired up at the church at around 6:30am. For $9 you’ll get ½ a mouthwatering chicken, coleslaw, baked beans, a roll and a brownie with your choice of a drink. You can eat in at the church hall or get a take away box. This year the 50 or so volunteers hope to serve about 336 dinners. All proceeds go to support the Church’s various activities. What are you eating this weekend? Monday, July 4th. Schroon Lake Community Church. 1086 Route 9 Between Leland and Dock Streets 11:00 am to 2:00 pm.